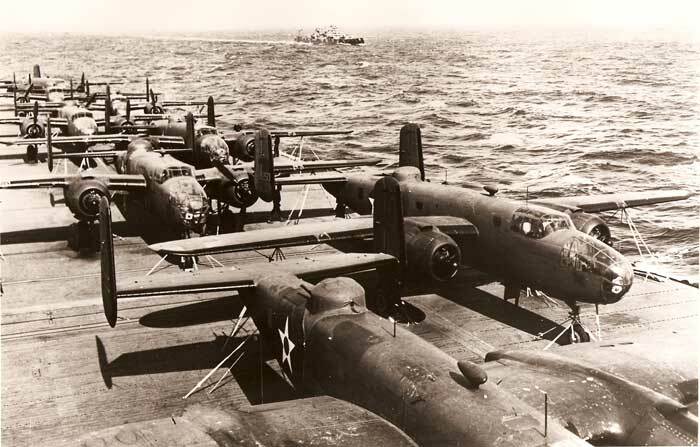 Doolittles B-25’s aboard the USS Hornet enroute to Japanese waters in April 1942. The North American B-25 was a very successful medium bomber that figures prominently in Roseanna’s Reply as the favored mount of Captain Marion Spencer. The B-25 was so highly regarded by the Air Force that, like the T-6 and Mustang, it remained in service…predominately with guard units…into the 1950’s.